Canada’s coastal and inland waters are home to thousands of wrecked, sunken ships. But unlike other countries, Canada’s federal government has never passed laws or regulations protecting those of historical importance — and those containing human remains — from looters and tourists. But CBC News has learned that Parks Canada has been quietly writing new regulations to protect these watery graves, partly inspired by the recent discovery of Sir John Franklin’s 19th century ships HMS Erebus and HMS Terror in Arctic waters. The effort has been driven also by Capt. Paul Bender, who launched a one-man campaign five years ago to protect and preserve so-called “ocean war graves” — wrecks containing the remains of those who sailed on merchant and navy ships during wartime. “There is currently no federal legislation to protect heritage wrecks,” says a May 2018 briefing note, obtained from Parks Canada by CBC News under the Access to Information Act. Actually, Parks Canada is reviving an earlier initiative begun in 2004, which produced a proposed set of heritage wreck regulations by 2011. It was killed by the Conservative government of Stephen Harper. Agency spokesperson Audrey Champagne did not directly answer a question about why the earlier effort was abandoned, saying only that the issue was complex and required collaboration with other jurisdictions. Parks Canada estimates about a dozen Canadian Forces vessels sank in Canadian waters with loss of life during the two world wars, with others lost during earlier conflicts. There are also about 50 military wrecks in Canadian waters belonging to foreign governments, such as Britain, France and the U.S., “and perhaps another 100 remain to be found,” said Champagne. The two Franklin ships, for example, were dispatched on an exploratory mission by the Royal Navy, which owned the wrecks and contents until Britain agreed to transfer ownership to Canada earlier this year. 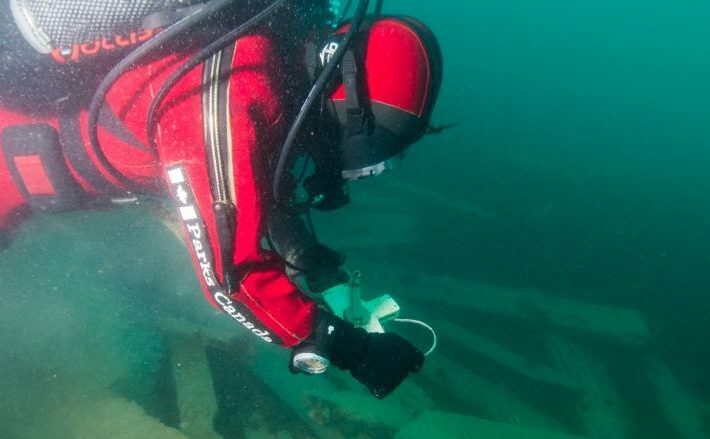 In the absence of heritage wreck regulations, the federal government had to pass cabinet orders to protect the HMS Erebus and HMS Terror sites from souvenir-hunters and others.